Hundreds of people in Wrexham have signed a petition against nuclear waste dumping. 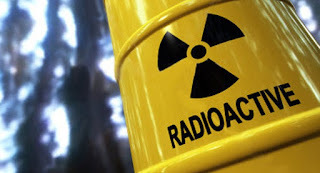 Last month the Plaid Cymru group of councillors e-mailed Wrexham Council's chief executive to ask whether the council had discussed taking part in the Government's nuclear waste disposal programme at any level in advance of the deadline - which is this weekend. "We have not had an answer to the direct question we asked, which is disappointing to say the least. In addition, we are not aware what the council's Executive Board intends to do in light of the £1 million bribe on offer to communities who express an interest in taking the nuclear waste. "We will continue to press for clarity on this matter from the council with the intention of stopping any plans to dump nuclear waste in Wrexham and Wales as a whole. 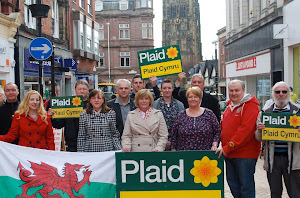 "We're proud that Plaid Cymru has led the campaign against the disposal of nuclear waste and that counties including Anglesey, Ceredigion, Denbighshire, Powys, Neath Port Talbot and Swansea have made it clear that they will not allow nuclear waste to be dumped there. We need Wrexham to make the same unequivocal declaration: we will not allow nuclear waste to be dumped here." • Please continue to share this petition with friends and family - hundreds have already signed but we need more.